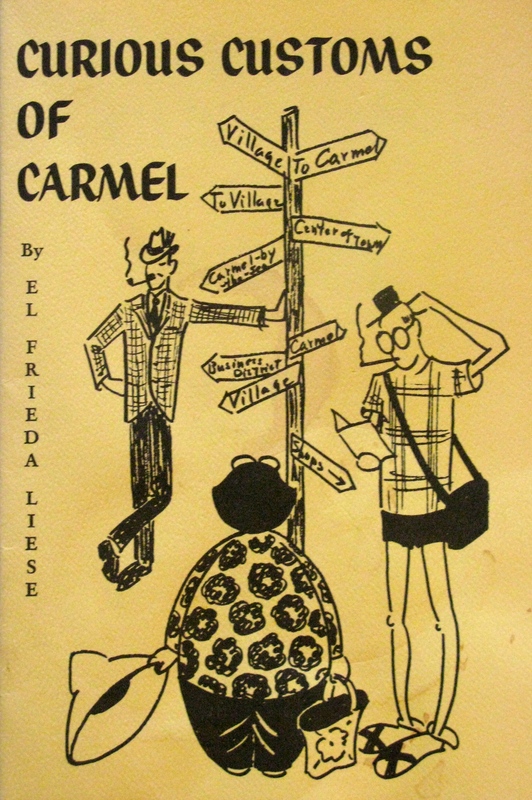 I collect books about Carmel. 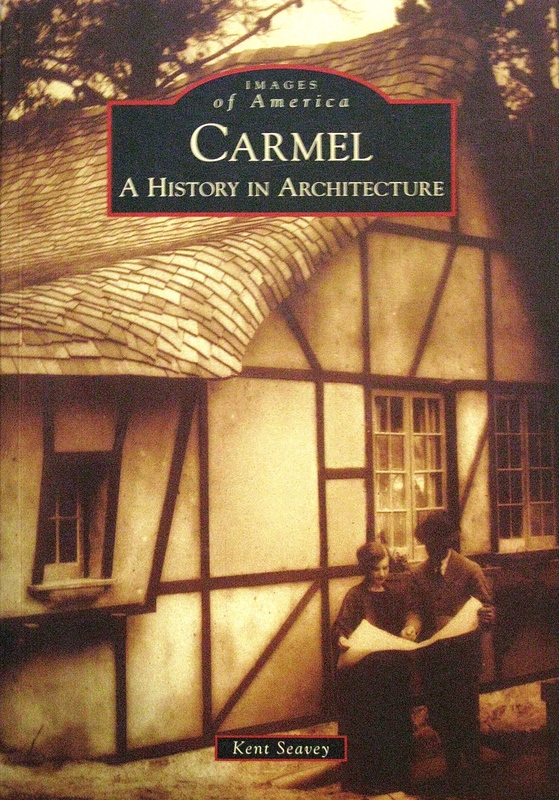 I find them at garage sales, on e-Bay, Amazon, Google Play, Biblio.com ,and even the Carmel Chamber of Commerce Store, Here is an alphabetical list of my favorites..
A pictorial history of how Carmel’s architectural character was formed. 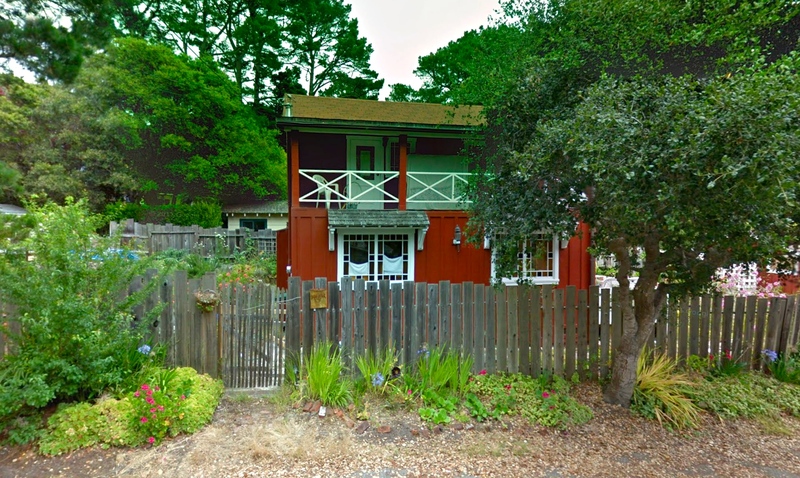 Kent does the reviews on Carmel’s Historical properties. Monica is a long – time resident of Carmel. I had the pleasure of taking her walking tour. We chatted about her extensive research for this book and her sense of responsibility to “get it right”. by Alissandra Dramov is my latest discovery. It was published in December of 2013. I have just started reading but already appreciate the scholarship behind this very readable book. The author is a native Californian , journalist, producer and writer. 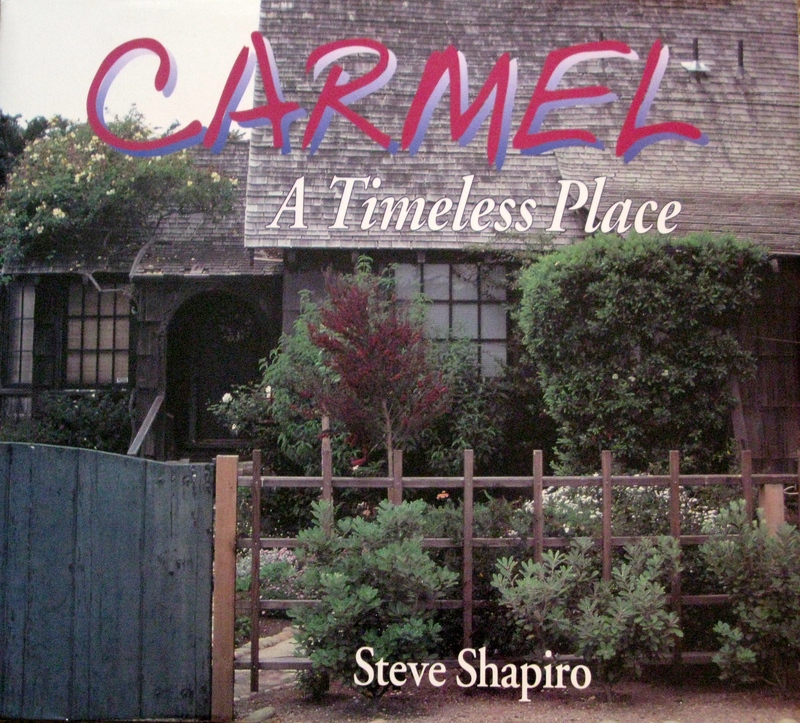 He captures the essence of Carmel in hundreds of photographs and text. All of the above books can be found easily in Carmel stores. Daisy was a high school teacher who first came to Carmel in 1910. 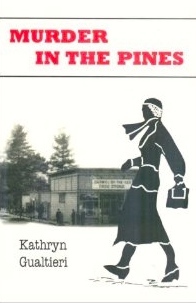 She was an early manager of the Pine Inn. in 1925. Carmelites owe her much, for she was either at the scene of or a part of much of what was going on, and took the time to make notes about it all. 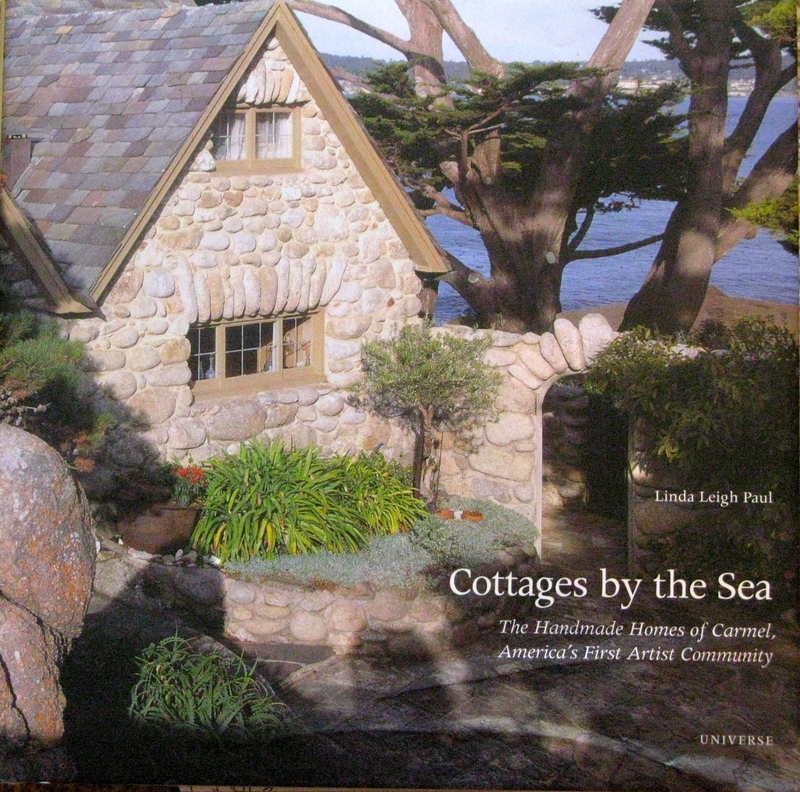 “Cottages by the Sea- The Handmade Homes of Carmel,America’s First Artist Community” by Linda Leigh Paul. 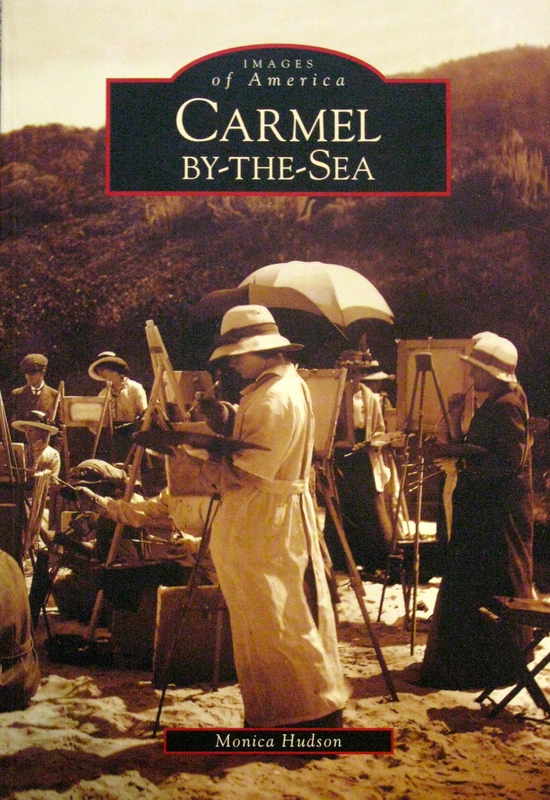 This book will give you an exclusive look into 34 of Carmel’s private homes. 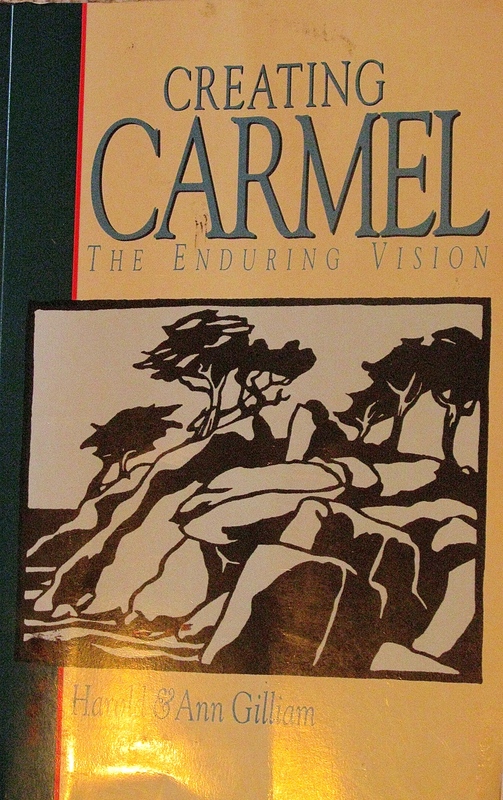 My number one choice for a comprehensive view of how Carmel came to be and how Carmelites try to keep that spirit alive. I love the inscription on my used copy. 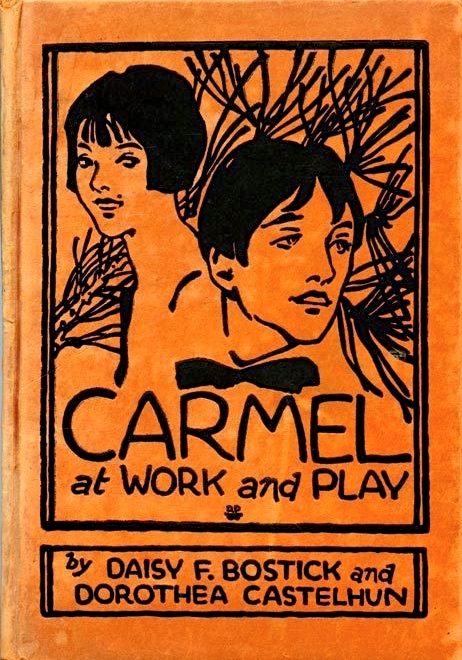 Don’t miss this small paperback with its funny drawings and examination of many curious customs of Carmel. 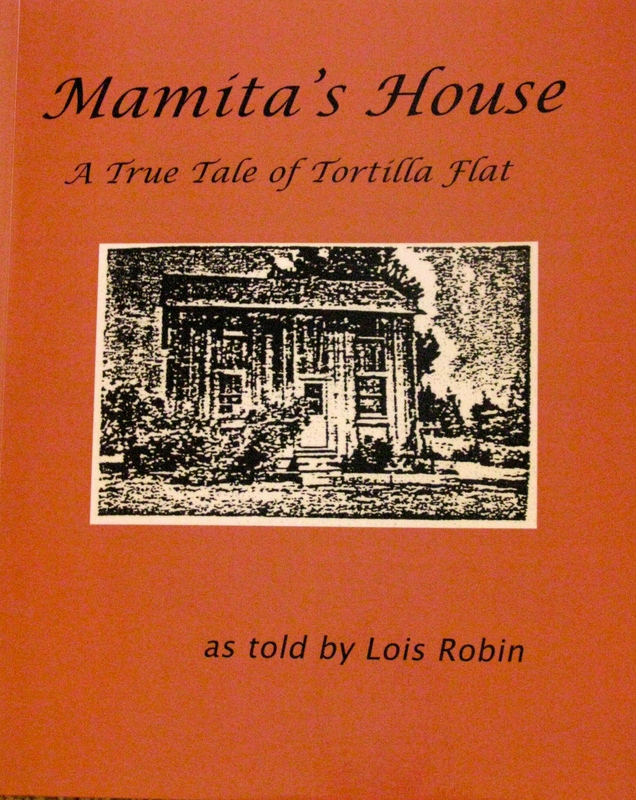 A fascinating story of life in Mamita’s House still at Monterey and 2nd in Carmel. Wonderfully readable. 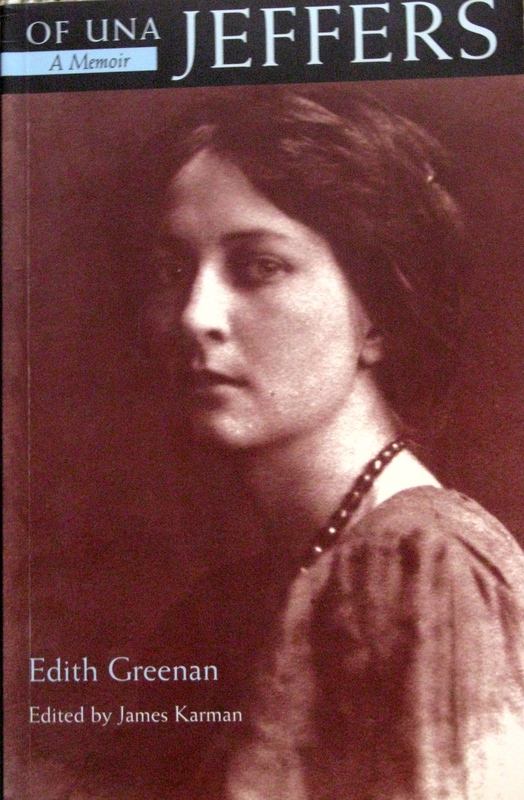 It not only portrays Una but also the Carmel of her time. Edith was a friend of Una. John is a writer and artist who conducted interviews with older Carmelites to find out the “secret” knowledge. I bought it on Amazon and enjoyed it. Sam is a watercolorist, golfer, taxi driver, taxi dispatcher, and an Honorary Life Member of the Carmel Art Association. 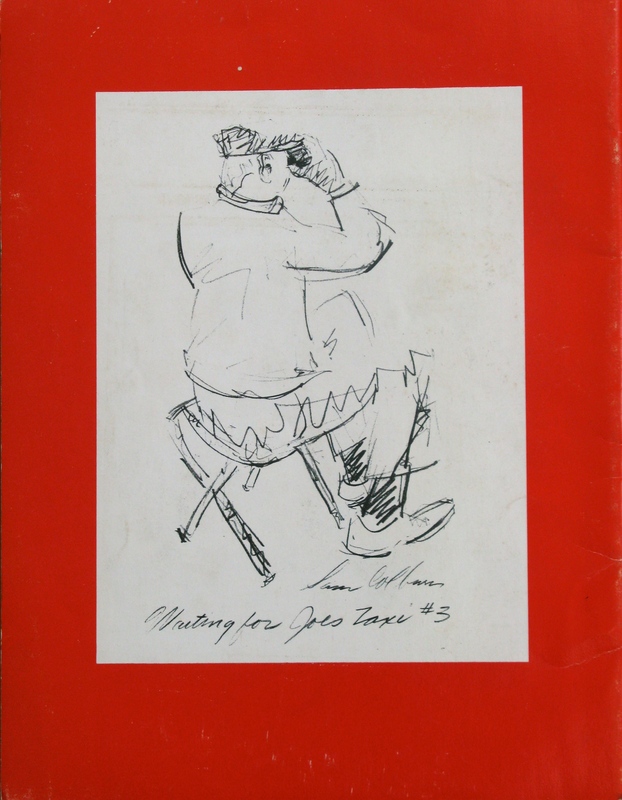 The book is a series of vignettes and sketches. 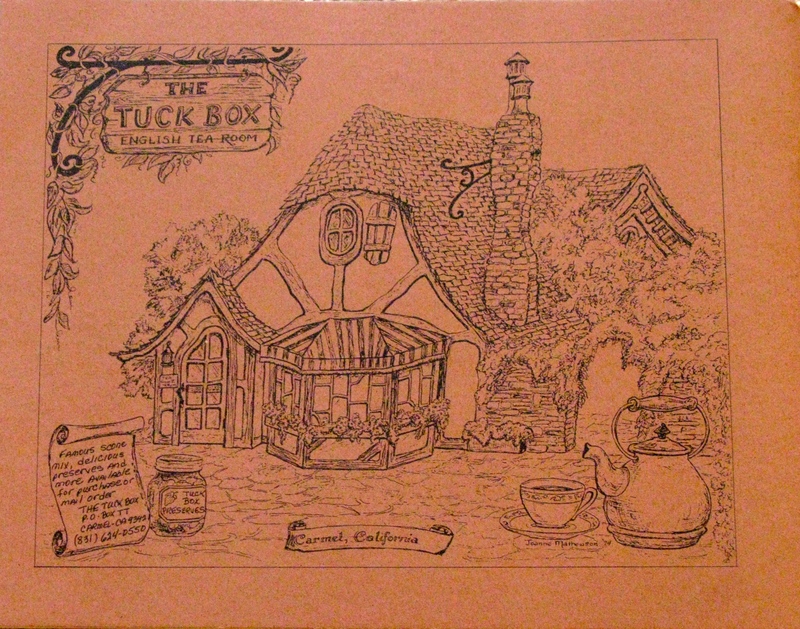 Drawings and text about Hugh Comstock’s Cottages. Some of it true and some imagined by the author. Stephanie Ager Kirz is the editor of the 2nd edition of her book. 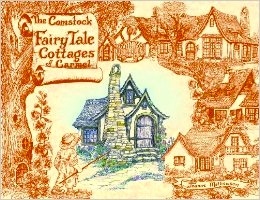 This book can be ordered on-line from the Carmel Heritage Society Shop. 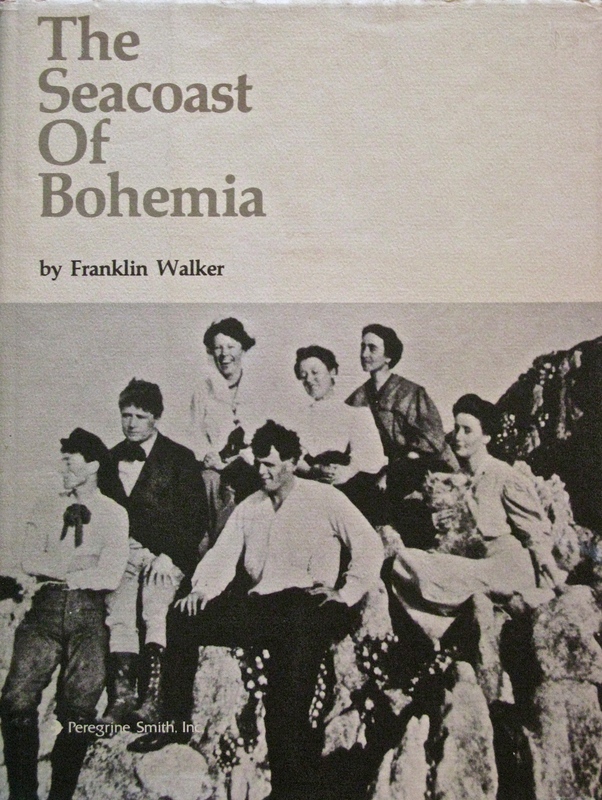 Tells about the tradition and lore of the early days of Bohemian Carmel. My favorite time in Carmel’s history. 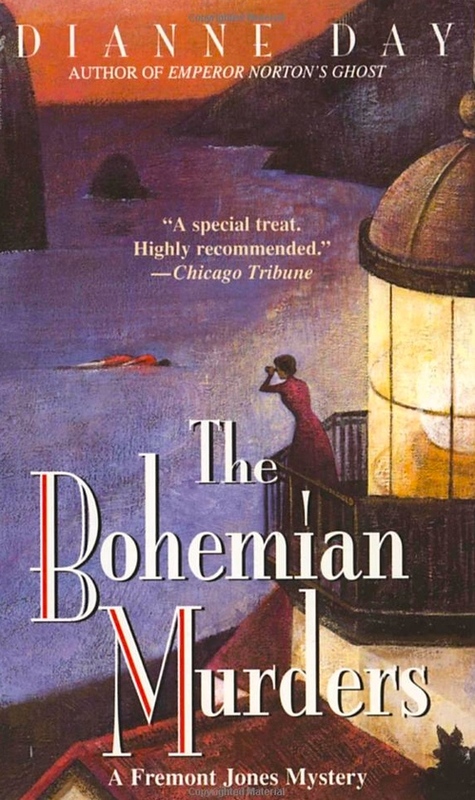 or “The Bohemian Murders” by Dianne Day. 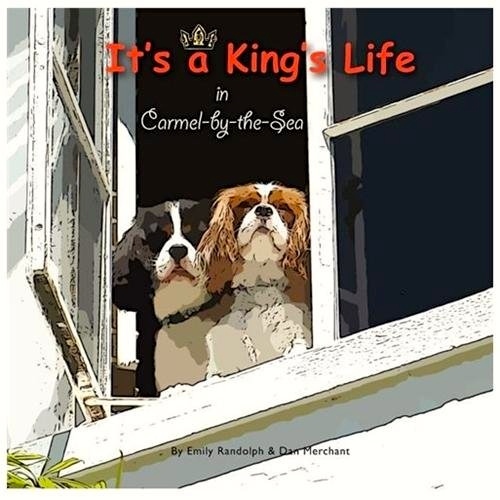 There is even a children’s book “It’s a King’s Life in Carmel-by-the-Sea” by Emily Randolph and Dan Merchant. This excerpt gives you an idea of the tone of this happy little book with great illustrations. “Follow your nose! Life is an adventure!” So says Sadie, the Cypress Inn’s doggie concierge to Happy and Lady (two Cavalier King Charles Spaniel Cavaliers) when they arrive in Carmel-by-the-Sea, California. For more novels set in Carmel see the Harrison Memorial Library List. 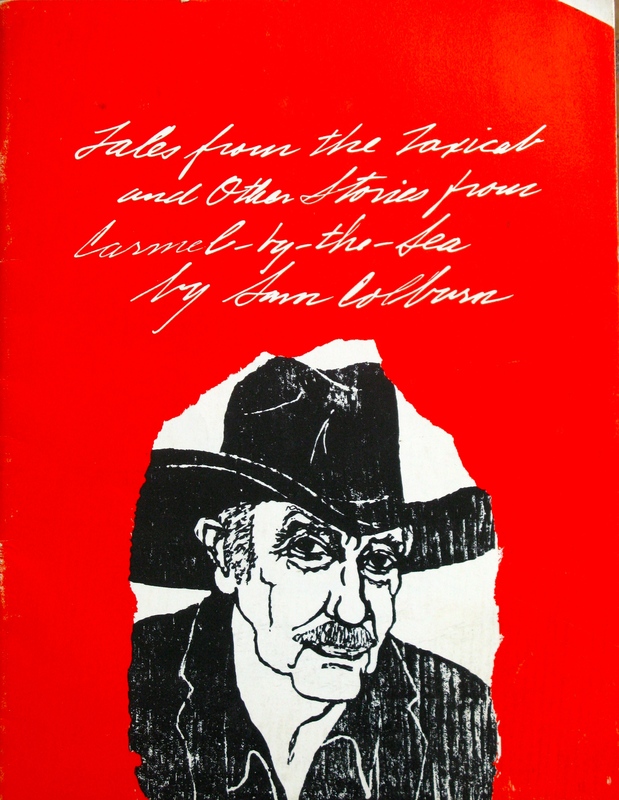 They also have a list of Carmel area Authors such as James Elroy, Jane Smiley, and Jack London to name a few. I’m sure there are many I have missed. 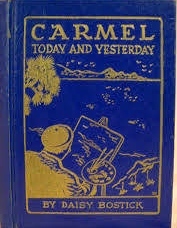 If you have found a good book about Carmel please add the Title and Author in your comment. Love this post! I have several of the books you mentioned! most in print, some in e-book form! The more one learns about Carmel, the more one loves and appreciates it! 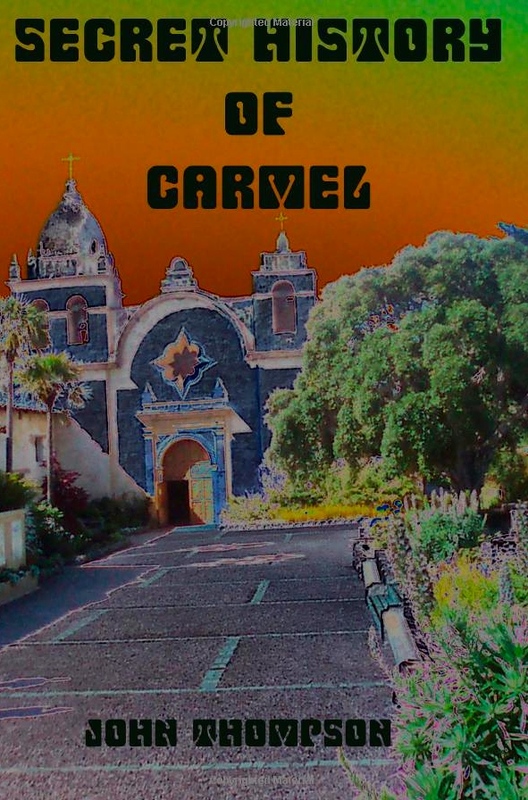 Thanks again for your blog on our beloved Carmel! Such a wealth of information on Carmel. I am determined to “get a hold” on its history. 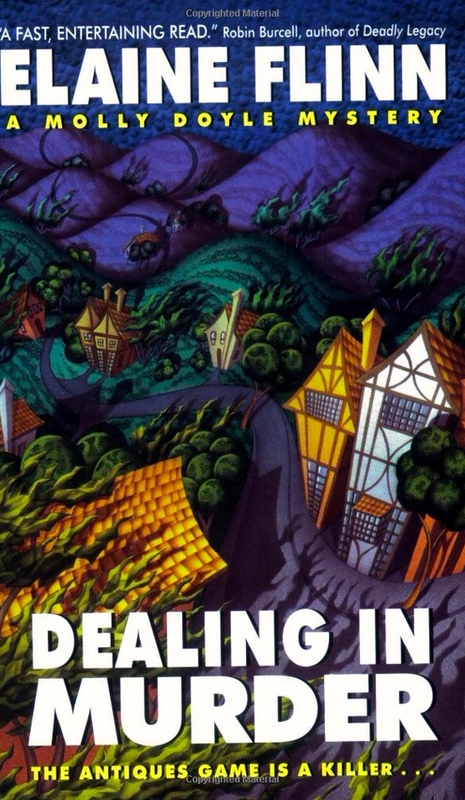 Several other books which would round out the picture and put Carmel in the context of it’s history with the surrounding area and with the importance of the environment, especially water and the forests. 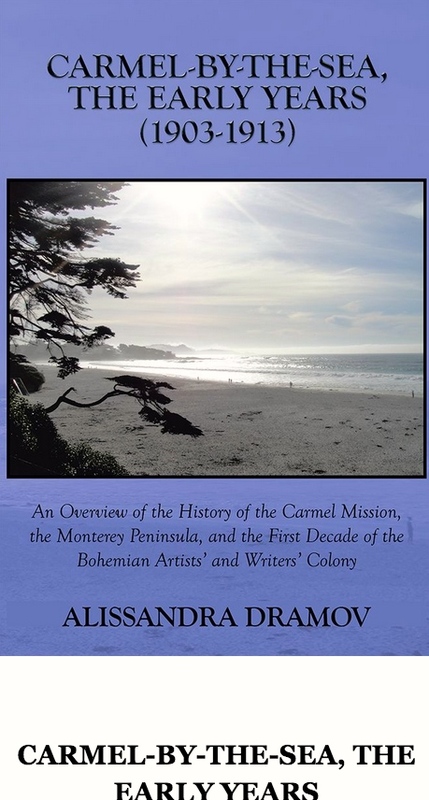 “Cathedral in the Sun”, by Anne Fisher, an historical novel about the importance of the indians, how the Spanish dealt with them and the Carmel Mission. “Monterey County”, Augusta Fink, a concise history of the area (Monterey, PG, the Valley and Big Sur)–helps understand the broader area. Water is key–the river and the ocean–and two great books are “Death and Life of Monterey Bay” by two Hopkins Marine Station marine biologists which shows the importance of ocean life and the water, including Carmel Bay; and “River in Ruin” about the Carmel River and how the area is so dependent on it’s health. Finally, “The Monterey Pine Forest” about the forests of the area and how critical their health is. Thanks for all those good titles.! then (now, Cypress House). Loved seeing the list and actually have some of the same. Will look for some you have. I have two Cavalier King Charles Spaniels–a tricolor and a Blenheim. Guess which book I’m buying first? They love the grilled chicken strips at Forge in the Forest. Great info! The Architectural Spirit of Carmel was illustrated by my husband, Kelly Steele. We live in Carmel. The book was written in 1978. Wow! If I can find our stash of books I would be happy to give you one for your collection. Kelly is still in artist here in Carmel. He also does a wonderful walking tour of Carmel. Call him at 601-2204 and ask for a book. Tell him Stacy wants you to have it. Thanks to Marcia Short for mentioning it. Smile. That is so nice of you. I did find one on Amazon today and ordered it. Maybe I will ask to autograph it! 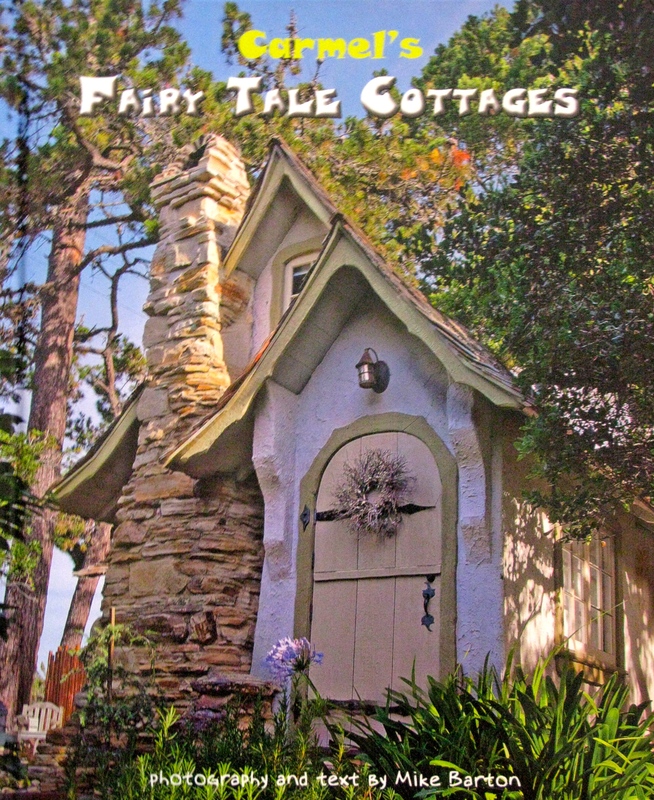 You are welcome.” Cottages by the Sea ” inspired us to visit Carmel in the first place. This is wonderful! Many treasures here! Great post idea! Two other titles I would suggest. 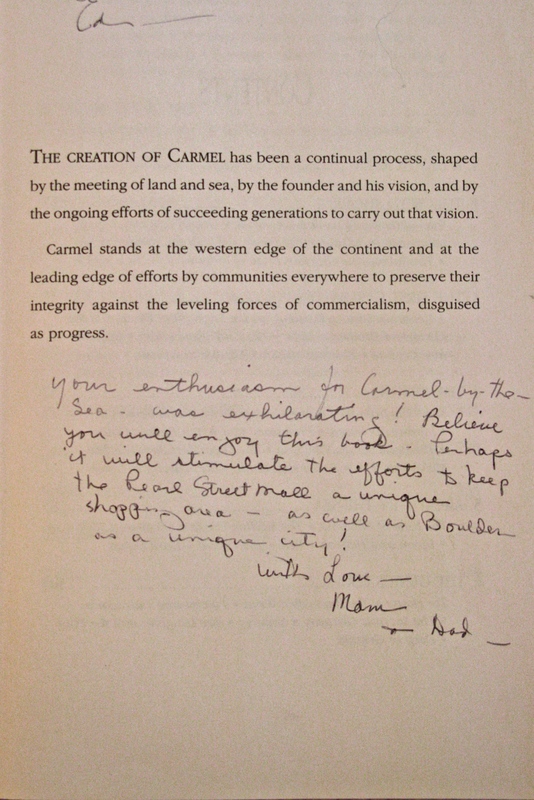 The first is “Carmel by the Sea” by Joseph Smith, published in 1939. 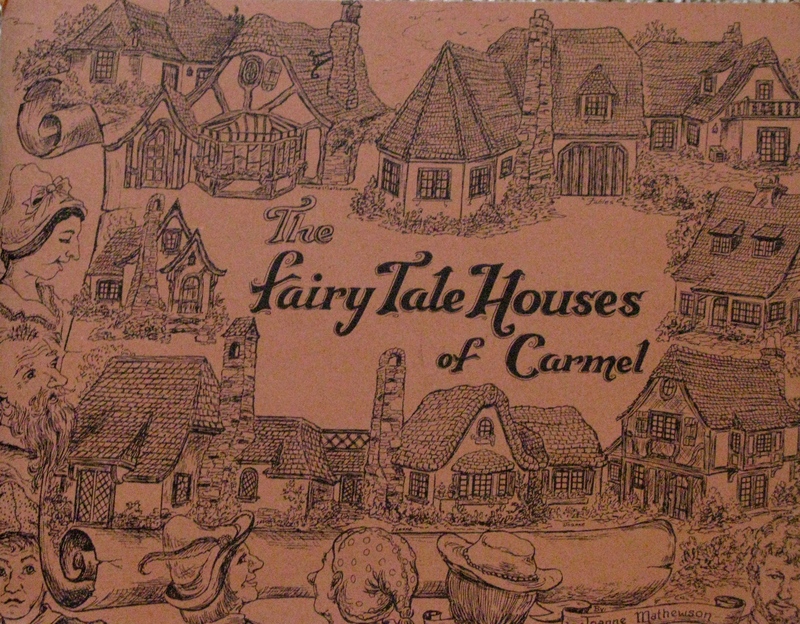 Smith was a Carmel artist, and the book is extensively illustrated with his drawings of the area. The second is “El Paseo: The Passage Way Where New California Meets Old Spain”, which was published in 1928 as a promotion for the construction/opening of Carmel’s El Paseo building. Jo Mora and Rose Campbell illustrated this beautiful book. The text author’s name is not stated other than “The Craftsmen of the Press in the Forest”, so the copy was probably written by Jacob William Wright. The less-than-good news is that both titles are hard to find. I found one on Abebooks, the other at a Portland used bookstore.